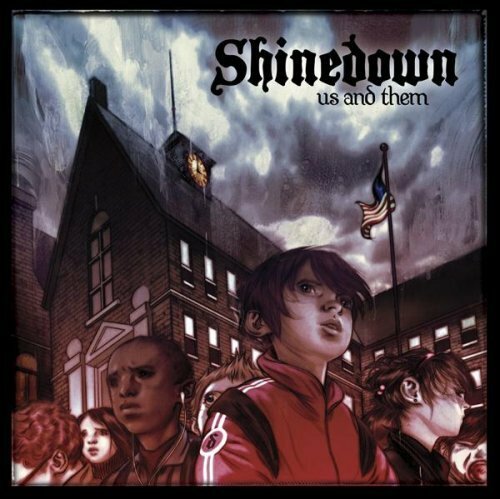 Shinedown's second studio album titled, Us and Them was a huge followup success to their debut album. The album was released on October 4, 2005. Us and Them put three singles at the top of the charts. Hereos,Save Me and I Dare You all received a lot of air play. Us and Them went on to be certified gold by the Recording Industry Association of America in November 2006. Besides the original release there is also a deluxe version that was released in 2009 and contains a total of 25 tracks. The deluxe edition contains the original 13 tracks plus 12 additional tracks including acoustic versions and demos. Click on the song name to view the lyrics.